Apple's upcoming research and development facility was originally due to be completed this year, but new details posted at the construction site reveal the facility will now be completed by March of 2017. The updated opening date for the Tsunashima Technical Development Center was revealed by Japanese blog Macotakara on Monday. According to the site, Apple's new R&D center will consist of a series of buildings, the largest being four stories tall. Apple originally paid to take over part of a former Panasonic factory in Tsunashima-higashi, a space that measures over 269,000 square feet. The mayor of Yokohama said last year that the project was originally slated to be completed sometime in 2016. As with a number of other Apple facilities, the company is working to "green" the complex by minimizing energy consumption. It will also make use of recycled water, and trees should be planted on the roof. 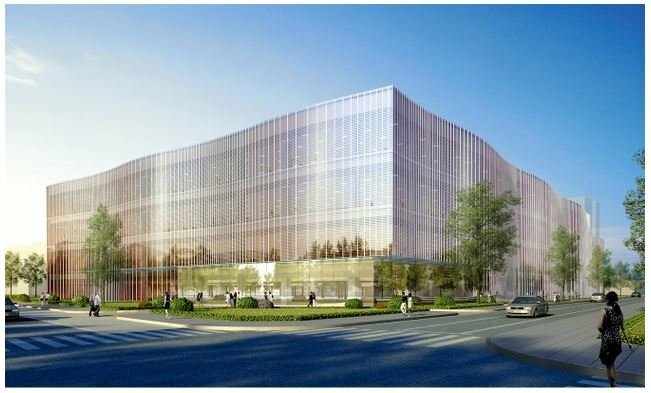 For the new Yokohama facility, Apple is also expected to tap into local talent specializing in materials science, vehicles and health industries. In recent years, Apple has worked to greatly expand its overseas R&D operations, though the bulk of development continues at its corporate headquarters in Cupertino, Calif. Apple will also break ground or expand existing facilities in China, Israel and the U.K. university city of Cambridge.